“I have had four relatives go missing since nineteen ninety-six” Jacqueline Orrego, 46, from Antioquia, Colombia, told me. 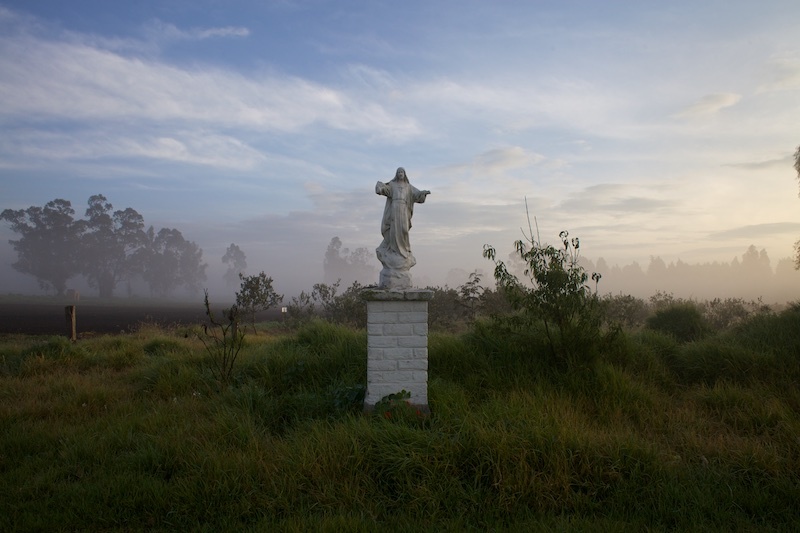 Burried without mourning, markers, or prayers, her mother, stepfather, sister, cousin, and friend all disappeared, pre-sumably killed by the Northwestern Bloc of the FARC paramilitary. 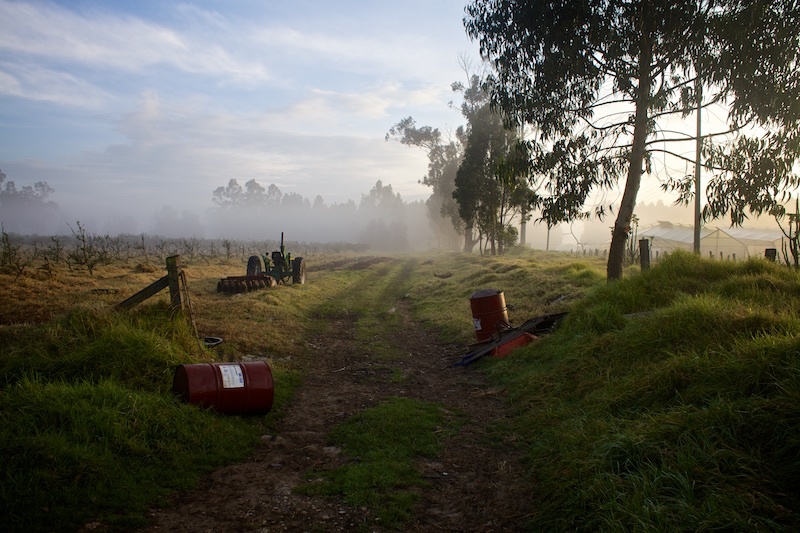 The corpses of her mother, stepfather, and sister were discovered in August 2007, on the expansive grounds of a rural farm belonging to Guillermo Gaviria, father of the current mayor of Medellin, Aníbal Gaviria. Orrego is still hoping to find the bodies of the others. “You always have this anxiety, the hope that they will be foun alive, even though everybody tells you they are dead. You’re in agony wondering where they are, and whether they are lost forever. Then, when you find the bodies, you rest,” said Orrego, whose family had been accused by FARC of being guerrilla fighters. She maintains their innocence. These five “disappeared” form just a tiny part of Colombia’s harrowing statistics on missing people. According to the National Register of Missing People (RND), which collects information from various government institutions, the number of dis- appeared in Colombia stands at 85,000. Gustavo Duque, a national transitional- justice prosecutor, said that figure may now be close to 96,000. In March 2014, the National Forensic Service stated that there were about 68,000 missing people registered through official complaints, of which about 20,000 were victims of forced disappearance. Of those 20,000, 366 people were found alive and 818 dead, while there is no trace of the remaining 19,000 or so. Orrego’s cousin Franklin is part of that number. The fact that 19,000 people are still missing has generated questions about the methodology and effectiveness of the government’s search effort. “Finding the bodies of Jacqueline’s relatives was achieved through the testimony of a paramilitary commander who indicated the area where the bodies were buried. We dug within a five-hundred-meter radius using picks and shovels. Then the earth began to talk,” Duque told me. In 2000 Colombia enacted Law 589, prohibiting forced disappearances and defin- ing set penalties for the crime. The law also created the National Search Commission, an agency to support and promote the inves- tigation of forced disappearances. There is also the aforementioned RND, which aims to identify bodies and track cases of disap- pearance, as well as the Emergency Search Mechanism, which aims to encourage judi- cial authorities to take all the appropriate steps in searching for the missing. Despite the work of these organizations, the statistics—and Duque’s description of the search that brought Jacqueline’s relatives to light—are a reminder that in many cases the government’s techniques are basic, reli- ant on informants, and none too accurate. Find them. Find them all. That is the mission statement of Carlos Martín Molina, a 48-year-old resident of Bogotá who is the only forensic geologist in the country. Forensic geology is a term that covers varying applications of geological scientific methodology to crime solving, humani- tarian investigations, and the recovery of bodies in disaster zones—basically, it’s the area in which forensics and earth science meet. 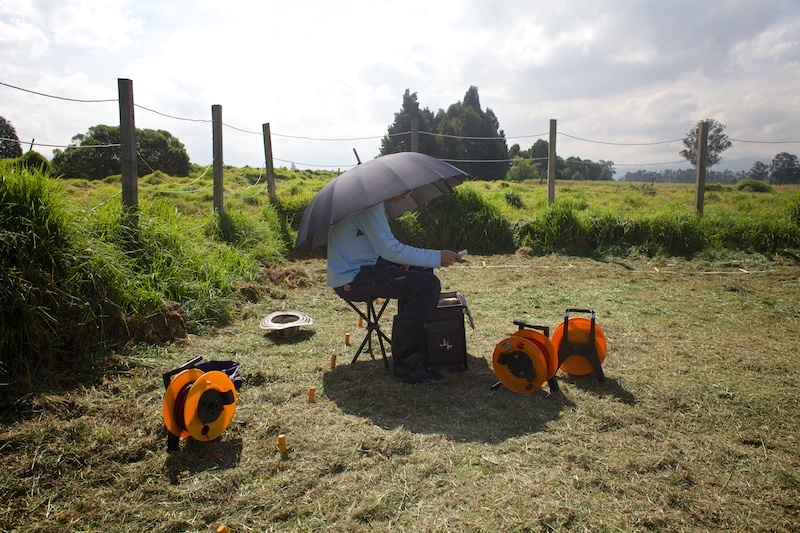 Molina uses ground-penetrating radar, geoelectrical measurements, and electro- magnetic induction frequencies that measure the conductivity and magnetic susceptibility of the soil. All of this can help point to dis- rupted soil and bodies beneath the surface. Molina could use these same methods to find gold or oil deposits and make good money doing it. 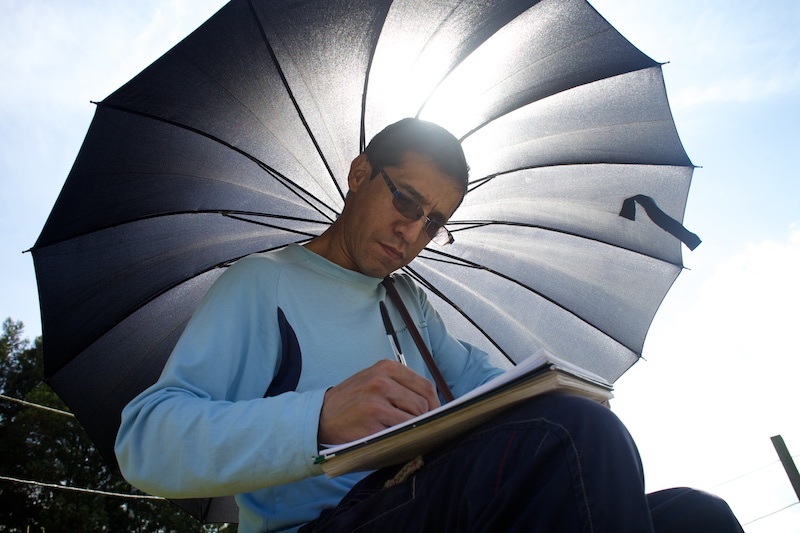 But as a sort of modern-day Sherlock Holmes, Molina has exchanged a pipe for a vueltiao hat, opium for sesame cookies, and Dr. Watson for his wife and mother, the only people who accompany him during his research. He has dedicated his life to looking for those whom violence has silenced. His dedication to finding the bodies, in a country where last year alone 4,539 people disappeared (99 percent of them disappeared forcibly, it’s suspected), amounts to a lifelong vow of poverty. 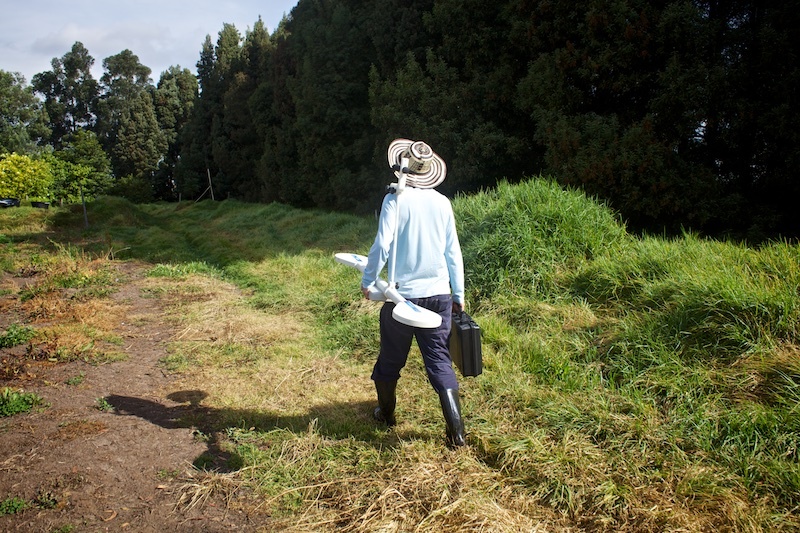 “The focus of this work is the victims, and those with missing relatives whose quest to find them has been an ordeal. Helping to clarify these cases has great significance in legal terms too. It could help decongest the courts and reduce the levels of impunity,” he told me. Molina’s concern about impunity is not unfounded. According to the govern- ment body Justice and Peace, more than 20,000 forced disappearances recorded over 37 years have led to only 35 convictions for “crimes against humanity”—the UN designation under which such acts fall. Of the 3,551 guerrillas who have confessed to such crimes, only five were convicted. “If you know the corpses are there, you have to go and find them,” Molina said. 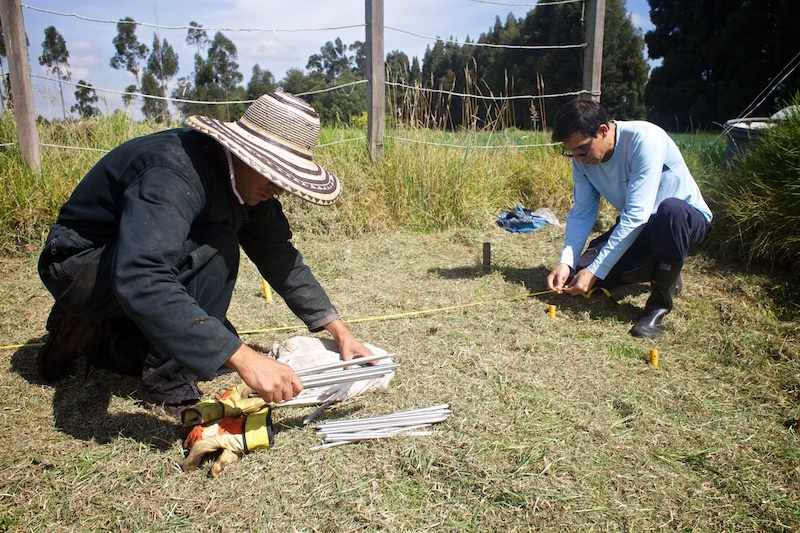 Molina’s initial interest in creating a new, more effective methodology and utilizing the technologies of forensic geology emerged in early 2000, when he visited several regions of Colombia searching for missing people with various officials. The expeditions, like those that uncovered Orrego’s relatives, were based on the testimony of informants. On these trips, the only tool Molina had was a metal pole that he would push into the ground to literally feel for graves or anomalies in the soil. “The metal bar can be effective when the deceased is a recently disappeared person, but it’s ineffective with a body buried ten or twenty years ago,” said Molina, who returned from all of those missions without any positive results. 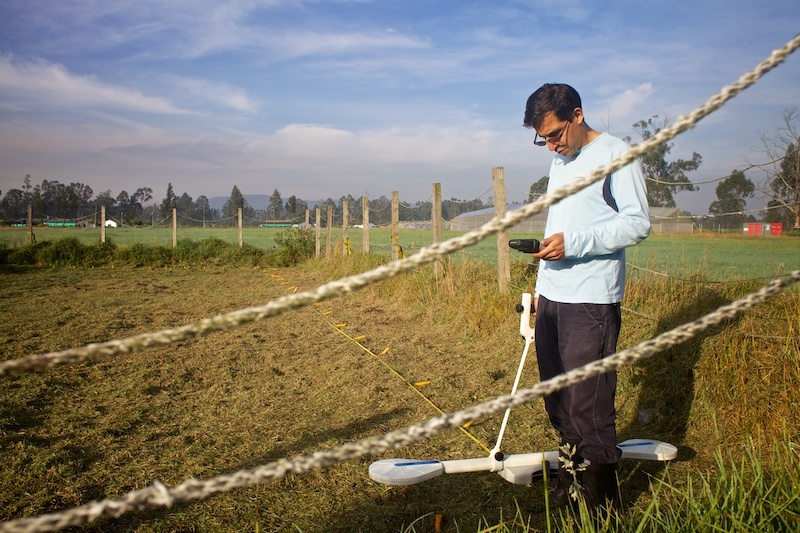 Since 2006, Molina has been actively developing more modern means of finding mass graves in Colombia, and his current PhD program, which he studies at the National University of Colombia, aims to promote the use of geophysical techniques and technology to streamline the search for his nation’s mass graves. 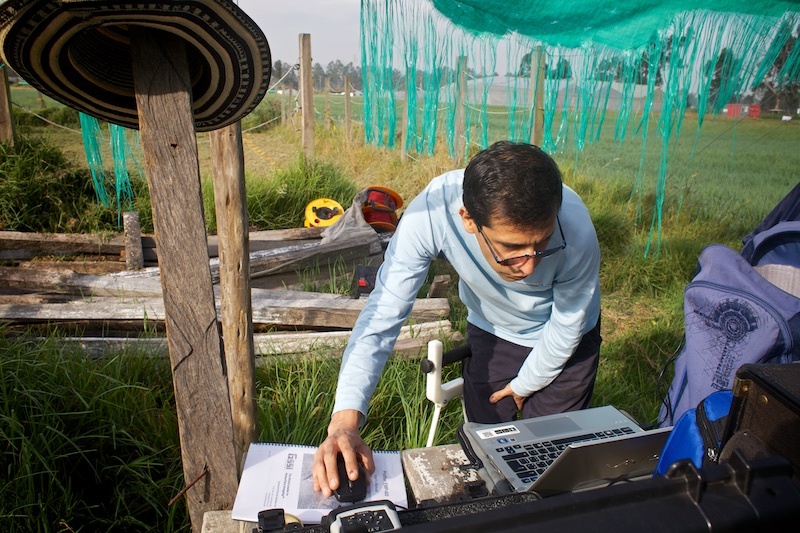 In a 240-square-yard plot of land in Mosquera, a town near Bogotá, Molina has created a laboratory of sorts. 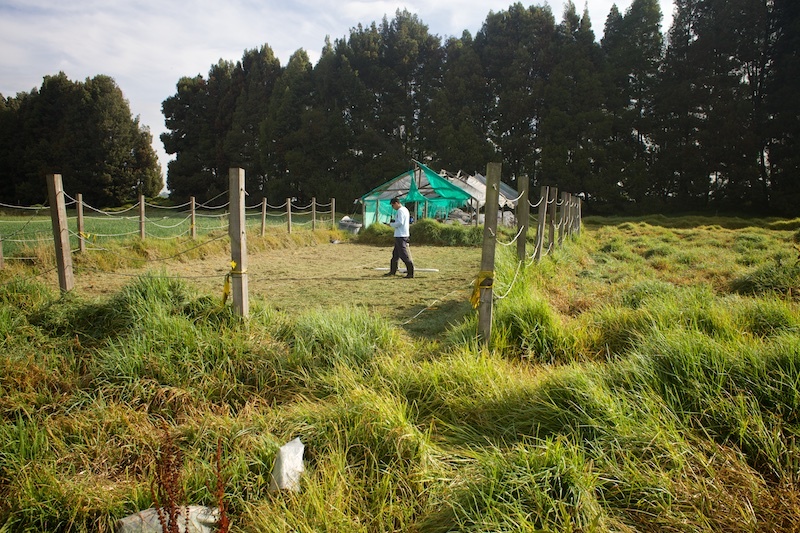 Since June 2013, he has simulated eight mass graves in the space. In two of them he buried the bodies of pigs, whose cadavers decompose similarly to humans’, and he left the next two empty as a control. The third pair contains two complete human skeletons, while the last two are home to damaged and charred bones, simulating the mutilated and burnt corpses often found in Colombia’s mass graves. Sadly, this quest has not yet started. Molina’s project is still in the developmen- tal stage, hampered by a lack of financial and official support. He has not been able to take his theories and methods out of the lab and into the fields and cities, where they could help find some of the 19,000 people who remain lost.